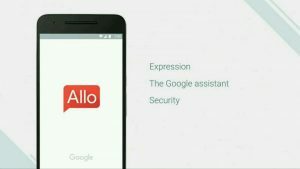 During the Google I/O event the company has announced the two new messaging applications called Duo and Allo. As you all know, Duo already hits Google Play Store and App Store for Android and iOS users. Duo received the unique experience from the users, and they started loving this application. But the Allo Application is yet to release, and there is no official announcement from the company. Only Duo application is available for public which was announced back at Google I/O this year. 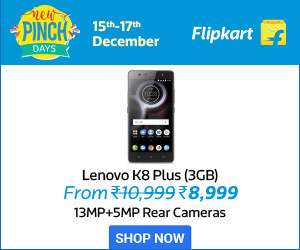 As per the company’s update, the release of the application must be at the time of first day of the fall, i.e., September 22, 2016, which is less than a week. The deadline for the release date is about to reach the company and as per the famous online reputed tipster, Evan Blass has posted the tweeted about the release of Allo on his Twitter account. Evan Blass tweeted saying “Hello, Allo (launches this week).” No further details about the release date and regarding application details. As per the reports and other sources suggests that the release might be on September 21. As of now, there is no official announcement, consider this information as the pinch of salt. 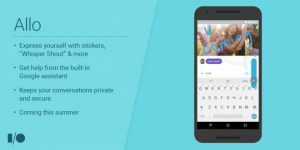 The Google Allo which is the communicational messaging app, which helps in enhancing the messaging service with advanced chat features. The users have to login or sign-up with the phone number, instead of the Google Account. This is going to be the refreshing application from the Google so far. Some of the features included in this app are end-to-end encryption, the ability to talk to Google Assistant and some funnier sticker packs. Some of the users had already pre-registered for this Google Allo application on the Google Play store before the release.